When a person wants certain information regarding anything, the first thing he/she does is to type few relevant words regarding that in search engines like Google or Bing. A lot of websites and pages related to that topic pop up in the window and the person can then access the page he/she wants. Thus, search engine acts as a top traffic generator. If we understand Search Engine Optimization (SEO) at the most basic level, it is showing the search engines that a particular blog is a relevant resource if a person is looking for information regarding a particular subject or industry. But, lot of bloggers and marketers have the wrong notion of how to relay to the search engines that the particular blog or website they manage is relevant to the query posted. In their ignorance, they follow tactics, which could potentially harm their websites. Things are changing at an alarming rate. Every day, new SEO tips keep coming in. All claim to get the content rank higher up in search engines. If you are writing for a business blog, the basic aim is to get business. There are some products or services to sell and you are trying to promote that through the blog. So, now the objective is to provide information to the visitor by grabbing their attention to your blog. Providing a short and crisp text summary with a heading can get more visual coverage of the topic on the home page or the category page. These summaries ensure that a user will quickly scan and find something to grab their attention before leaving. A great write-up is no doubt an added advantage, but concentrating only on it from a writer’s point of view will defeat the purpose of getting business. You are not writing it to get the Pulitzer, but to get leads, which can be converted into business. You have to keep in mind a few things while writing. This is to increase the user interest once the title has caught their attention and they decide to go through the write-up. So, now the aim is to optimize readability. The mode of writing should be more of a conversational one rather than dictating. This will keep the visitor engrossed. The thoughts and ideas should be expressed clearly in crisp and short sentences. Use subheadings and bullet points instead of going for long paragraphs whenever possible. Use of graphics helps to keep the interest intact till the last. And last but not the least is the heading. The heading is the first thing that draws the attention, so it should be something that catches the interest instantly. Having a great write-up with a weak headline is a recipe for disaster. Though it is easier to say to have a strong headline, creating one is really complex. You can use listicle format or some persuasive words, but the basic idea is to make the reader believe that there is something they need to check out. The strongest search engine ranking factor is getting other websites to link to your content. 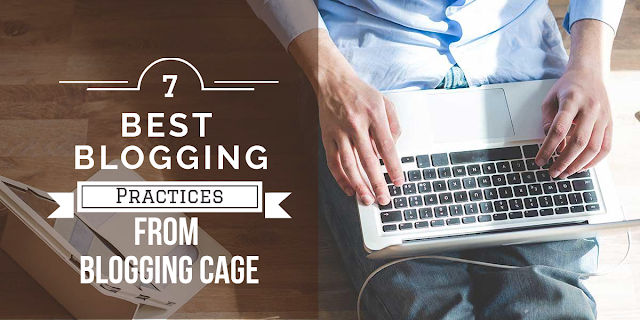 For this, bloggers try various tactics. Sometimes, they create spam directory sites or buy links from low-quality blogs. Search engines are always on the lookout for such stuff and keep penalising them by blacklisting. There is no secret formula to link building. It is only based on trust and this trust is built over time. In the blogosphere, “a rising tide raises all ships.” Embrace civilised discourse, network and befriend your fellow bloggers whether or not you agree with them. No blogger can deny the importance of social media sharing. This sharing can either be done directly or by making it easy to share the blog post. So, you need to start building the relationship with influencers, websites, and authorities that are in your business. Search for them and find ways to interact with them. Once they are on your radar, they might link to your content on their site. In future, you can also work together to get wider audience reach. Getting influencers to share your content always has a huge influence. Trust, being an intangible asset, takes time to build and a second to get lost. So, be very cautious and never do anything to breach it. This factor varies according to the requirement and approach. There are some who post on a daily basis. Their posts are normally short and thoughtful. When it comes to analytical, they are not all that focused. The comprehensive posts need more time and focus on creating. It is not possible to churn out such posts on a daily basis, especially if you have only one author. Regular visitors anticipate new and relevant content on a regular basis. So, having a team helps in this case. It happens that you might have researched well and written a nice post, but still not getting the required ‘hits’. It might shake your confidence, but understand that there are so many factors on which it depends. Besides topic and timing, the intangibles are also involved. If you believe in what you write and you are honest with your writing, it will definitely hit the chord. Keep in mind that success of the post is not always measured by how many people got touched by your words, but also by how deeply they get touched. "Words that come from the heart enter the heart," should be the motto. There are many freelance writing sites for beginners where you start writing for other blogs and see how well your content is performing. Join us on social sites like Facebook, LinkedIn etc. Likewise, many other things can be incorporated, but the basic idea is to prompt the reader to take the next step at his convenience. The word ‘gratitude’ is not enough to convey your feeling towards those who read your stuff and consistently like and share it. Make efforts to make them aware of your feelings about how much their support means to you. Sometimes, bloggers get obsessed with finding new readers and get unmindful of the needs of existing readers. Finding new readers is a must, but at the same time find time to show the existing readers that they are a vital part and their contribution is immense. This will make them more loyal to you and help to grow your blog. According to Jay Baer, author of Youtility, “Don’t be afraid to showcase what you know. Too many bloggers hold back the good stuff out of fear of giving away the “secret sauce.” There is no secret sauce in a world where everyone has high-speed Internet access at all times. Today, you want to give away information snacks to sell knowledge meals”. A blog in reality comprises of two things. The first is simply a piece of technology, a platform. But, the second is a promise. It is a commitment to provide the readers with some elements of value that are hyper-targeted to their needs. It is something similar to a newspaper in the physical world. Readers don’t just look at a newspaper as newsprint that is delivered on their driveway every morning. Instead, what they look for is the information that it provides. Blogging is not a platform to get short term return on investment or a quick path to recognition, but it is a platform to constantly learn, iterate and improve to achieve something remarkable over time. Sometimes, it quite hard to believe how quickly we plunged into the core digital era. But then take a look around and you have so many tools to help you come to terms with the convenience we have been overloaded with. And one of the most convenient things that have happened to mankind, is the rise of mobile app development companies, and with them, these uber-cool mobile apps that let you order things, read stuff, run a business, with just a few taps and swipes. Irrespective of whether you are an app developer or a businessman, you need to get some of the concepts straight, about mobile apps, in order to achieve what you intend to, with the help of your mobile app. These are some of the very basic concepts, but if you think about them in deep, there is a lot more you can decipher about the digital. 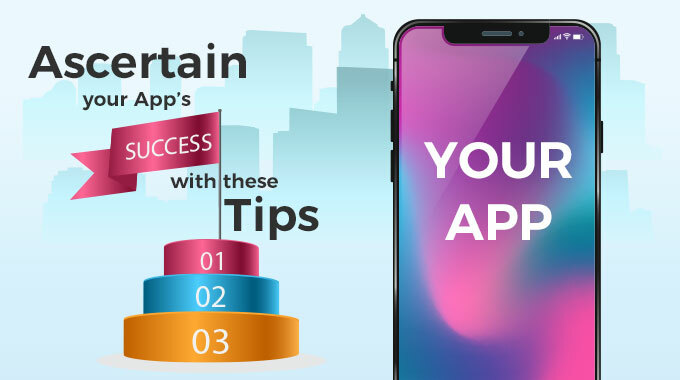 Well, we have covered the deep thinking part in this write-up, all you have to do is go through these tips to ascertain your app’s success. Also Read : Mobile App Analytics, What It Is, How It Can Contribute To App Success? The importance of push notifications kicks in when you are trying to gather loyal customers but you can’t find a way of doing that other than direct calls or emails. And as a matter of fact, you just can’t call your customer about deals and offers and emails, well no one reads email, especially the promotional ones. Do not forget to integrate push notification feature with your app. Talking about push notifications, the need for catchy ones is quite on demand these days, because apparently, everyone is adopting push notifications, and in order to not get yours swiped away with the rest, you need to make it in Big View Styles. In Big View Style push notifications, one can swipe down on the notification to unveil more information attached with it. This way, you are not invading much space on the notification bar, and delivering a lot more information. Apart from the three pointers we have mentioned here, there are many more that determine the success of your app. There are many more components to each aspect of mobile app development, such as material design, multi-tasking capabilities, hardware integration, and compliance with latest technologies like Multi-window, Floating Action button, Material theme integration and more. Stay tuned with us for more tips and tricks to stay ahead in the competition. Nowadays, it's similarly as simple to get a site for £500 as it is to pay £5,000. As most organizations can't bear to toss cash around for reasons unknown, the interest of the £500 offer is self-evident. In any case, it's vital to recall that in by far the most of the occurrences, you get what you pay for. Presently, this doesn't imply that paying £5,000+ essentially ensures an extraordinary site. 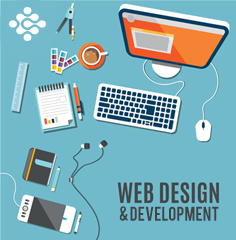 Everything comes down to the capacities and experience of the professional web design service provider. But, in the meantime, you can't hope to pay pennies for the services of the business' ideal, most sought after website specialists or by professional web design services. It's difficult to try and start thinking about how much your own particular site may cost, before running the thought by the web specialists and considering extremely vital contemplation. For instance, the unpredictability of the venture will have maybe the greatest effect of all. The most minds boggling the site is, the harder the improvement group should work and the more it will take. Both of these will obviously signify a costlier bundle. But on the other hand, it's imperative to recall that in light of the fact that your own site vision seems sufficiently straightforward, it doesn't mean the coding and advancement process will be. As said, the abilities and experience of the website developer or a professional web design services team will likewise affect the expenses of their services. On the off chance that they have years of experience, unrivaled aptitude and a broad rundown of remarkable customers, expenses will undoubtedly be higher than those of an industry newcomer. The better they are at their employment, the more they can stand to charge as they can convey reliably prevalent outcomes. Shorter due dates quite often mean higher costs. This is on the grounds that alongside augmented working hours, it might be important to include other individuals on the venture to complete it in time. An exceptionally complex venture with a six-month due date won't normally be as costly as a similar venture with a basic 14-day due date. The kind of symbolism (imagery) you use on your site can likewise influence the general cost. Utilizing stock symbolism (imagery) is typically the economical choice, however it regularly relies on upon the kind of stock symbolism utilized in light of the fact that some are significantly more costly than others and some can likewise incorporate royalty expenses, on the off chance that a photographer needs to take bespoke shots of your item then your website specialist should figure these costs your quote. Besides, bespoke delineations are needed these take a considerable measure of time and aptitude to deliver which implies you can hope to pay more. Content likewise assumes a key part in deciding site costs. At this moment, a solitary page of composing web content changes significantly. Everything relies on upon the quality, the profundity of research and the subject itself. What's more, obviously, the more content you require as far as pages and word tally, the more you can hope to pay. This is what a key range in which compromising is never a smart thought. Similarly, as with any venture, there will be a component of forward and backward, keeping in mind the end goal to come to the heart of the matter where you are happy with your new site. Most professional web design services will figure various revisions in their venture costs, yet in the event that they don't, you could pay for every single correction. Mobile App Analytics, What it is, how it can contribute to App Success? If app development is one part of the app success, app analytics contribute to another side of it. App analytics is an integral part of app marketing. Let’s see what app analytics is and how it contributes to app success. App analytics is a method of analyzing user behaviour with the app. 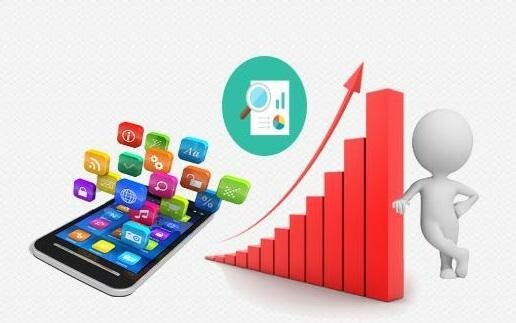 In this method, data is collected to study user behaviour to decide the best strategy for user retention, engagement as well as conversion.The main objective of app analytics is to increase app usage, repeated usage, and in-app purchases.This method is used by all sorts of mobile app development companies New York today to get the deep insights of the user behaviour and app performance. It helps them in increasing app’s lifetime value, usage rate and retention. Mobile landscape is becoming juggernaut day by day. There is an overwhelming competition between app-driven companies who are trying to establish their venture. App analytics help businesses understand user behaviour and we can also call it as actions, with respect to app features and functionalities. This lets app marketers analyse how often users visit the app and which section is getting maximum visits and how much time users spend there. It will help in building an efficient mobile marketing strategy and ultimately it will result in increased ROI. With the efficient mobile app analytics strategy, you can engage the targeted users & retain them as well.You’ll also be able to check when they used the app, how much time they spent, and how they navigated from page to page. In-app referrals is important for any app to increase downloads. App analytics helps in tracking the referral codes of the app each user receives. App analytics help developers monitor app performance issues like slow load times, layout glitches, and abrupt crashes. You can use app analytics to check your users are from which geography, what age or what gender. So you can sharpen your marketing strategy to yield better outputs. Mobile Analytics has been essential nowadays, as there is a juggernaut competition between app marketers. Most of the app analytics tools work like Google Analytics, so if you’ve a prior experience in using Google Analytics, it is easier to understand and use app analytics tool. Hari Krishna is a well-versed content writer working in FuGenX Technologies, an emerging mobile app development company New Jersey. He likes to write on technology, start-ups and latest technological innovations that people like to know and share with others. Tablets have transformed into a creating imaginative example among representatives in the current past. Most masters now incline toward passing on an iPad or a tablet to a meeting as opposed to a compact workstation. In case ask for inclinations in the tablet business are anything to cruise by, and then these devices will soon supplant the versatile workstations and desktop PCs within the near future. It is a simple choice why most experts now support the tablets to PCs. These contraptions can play out each one of the limits that are performed by a PC. Despite that, they are supportively flexible and smart which makes people look to some degree more official passing on them as opposed to passing on a tablet. They ask for to have and use iPads in the midst of business has required the need to Hire iPad and this is an example that is getting the chance to be unmistakably acclaimed brisk. Various associations and individuals require these tablets and the cost may every so often be prohibitive to a couple people. In like manner, associations have started renting them out at a sensible cost to agents that require them in the midst of social events. This is a far considerably less costly decision as opposed to buying and owning one. Today, appropriately of this rising enthusiasm, there are a couple of associations that are springing up wherever all through the world to offer this Hire IPad business. Most by far of the enthusiasm for this kind of business rises up out of associations that are advancing a business social occasion or introductions. In the midst of such examinations, each taking an intrigue individual from the social affair ought to use an iPad. It transforms into a less costly decision for the firm to enroll these devices to be used by the specialists as opposed to getting one for everyone. Various affiliations today directly comprehend the financial advantage of offering iPads to renting. To be sure, it is significantly more useful to IPad Hire in the business feature today instead of obtaining. The enthusiasm for iPad gets has been on an exponential rising in the current past and these associations are exploiting benefits for their endeavors. This development looked for after stems from nearly nothing and medium firms who rent these devices for use in a lone event, for instance, in internal get-togethers inside the affiliation. Instead of requiring each taking an intrigue individual from the relationship to have an iPad, it ends up being significantly more supportive for the relationship to just IPad Hire once. 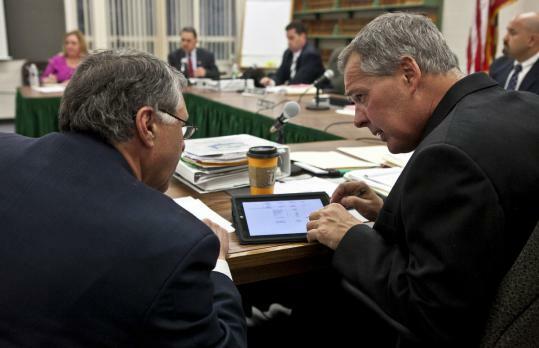 Different factors have added to the sharp rising well known for iPads in the midst of meeting. The first and most basic ascertain is the movement the item advancement used as a part of these devices. The renting associations grasp the business needs of affiliations and experts in the midst of social occasions and gatherings. In this way, they have worked together with the item making associations misusing the hardware capacities of the iPads to make uniquely fitted programming applications that meet the business needs of affiliations and individuals. The device then transforms into the favored business amigo of most business authority more than some other device. For instance, there is a certain programming that licenses customers to organize their specific applications which engages them to post addresses and get incorporated into social occasions ceaselessly autonomous of their ranges. This allows the individuals to get required in the business at to extraordinary degree irregular states and more gainfully. This item is an extreme device that engages every part to get required in all parts of the meeting from the comfort of their zones. For instance, in circumstances where voting is required on certain suitable issues, the item allows individuals to vote from wherever they are on their iPads and a little while later, the results will be appeared on a wide screen. Author Bio: This article is published by Sara Jim who is technician manager at Tablets4Rental which is one of the best tablet rental service providers in UK and USA.